On September 28, 2018 at approximately 5:00 p.m. officers from the Nipigon Detachment of the Ontario Provincial Police (OPP) responded to a motor vehicle collision on Highway 11-17 near Dorion. Initial investigation determined that a westbound pickup truck had crossed into the oncoming lane colliding with an eastbound sport utility vehicle. 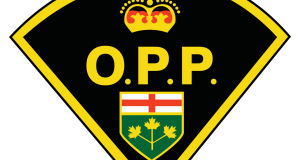 The driver Thomas LONG sixty-nine years old, and passenger Shelley LONG fifty-nine years old both of Terrace Bay, Ontario were pronounced deceased at the scene. The driver and passenger of the westbound vehicle were transported to hospital by ambulance with non-life threatening injuries. As a result of investigation by Nipigon OPP officers, assisted by OPP Technical Collision Investigation (TCI) officers, and the OPP Forensic Identification Services (FIS) it was determined the driver of the westbound vehicle was at fault. On March 7, 2019 the driver of the westbound vehicle Forty year old Stephen POLESKY of Schreiber, Ontario was charged with two counts of Careless driving causing death contrary to section 130(3) of the Highway Traffic Act.